*1.5-hours for registration, refreshments and networking will not count towards continuing education credit. This event is open to clinicians and community members. Parents are welcome to bring their teen for free! This is a 2-hour presentation and clinical participants will receive 2-CE hours upon completion of evaluation form. Education: Since 2007, and the 10 years prior to it, America and the rest of the world entered into a new era of technology and digital revolution changing in all ways how people function, work and play. This evolution is heading towards the “Singularity.” (Kursweil, 2011) where people will entirely merge with computers. The impact on people, especially younger iGens will be indelible and the far reaching impact can only now be inferred (Twenge, 2016). Adults have been deeply impacted by technology as well, and while not to the negative degree that younger people have but still in ways that can effect the aging process, medical and psychological health (Alter,2017). 1. Participants will be able to identify all forms of “Dependence” as it relates to substances and process addictions. 2. Participants will identify DSM V categorizations as they apply to “Tech Addiction” under related disorders. 3. 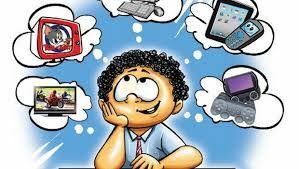 Participants will be able to identify at least 2 trends relating to how individuals are impacted by “Tech Addiction” according to the generation they were born in, differences between Adults and children and the processes which keep each addicted. 4. Participants will be able to identify the at least one; Medical, Psychological, Sociological and/or Behavioral impact on humans as a result of Tech Addiction. Dr. Sean O’Hara Psy.D, NCAC I, SAP is a Board Certified Licensed Psychologist living in San Diego, California, with over 26 years experience with psychiatric, mental health, dual-diagnosis and crises intervention health problems. Dr. O’Hara has 2 convenient office locations in San Diego County, Rancho Bernardo, California and La Jolla, California. Dr. O’Hara also frequently travels throughout the United States to work with clients, corporations and athletes residing in other states. 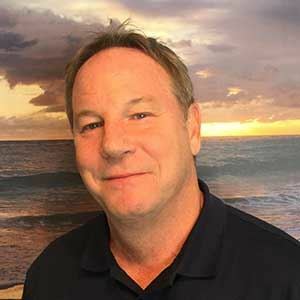 Dr. O’Hara works with all populations and does diversified work with corporations, collegiate and professional sports teams, the entertainment industries and rock concert tours. Course meets the qualifications for 2- hours of continuing education credit for LMFT’s, LCSW’s, LPCC’s and LEP’s as required by the California Board of Behavioral Sciences.